Cape Otway Lightstation, Great Ocean Road, Victoria. Want to take a sleep back in time and play lighthouse keeper for the weekend? Montague Island Lighthouse, off Narooma, NSW. Two lighthouse keeper’s cottages on Montague Island (NSW South Coast) have reopened to guests. With a penguin colony (of around 12,000), visitors can tour the island on a day trip (eurobodalla.com.au), explore on a night tour, or sleep overnight in one of the refurbished cottages. A two-night package with transfers, tours, plus the five-bedroom head keeper’s cottage is $3600 (sleeps up to 12). Lighthouse Keepe,rs Cottage, Cape Byron, NSW. Overlooking Cape Byron, each of these two three-bedroom keeper’s cottages has a kitchen, laundry and period furniture, with the added privilege of rising with the sun at Australia’s most easterly point. 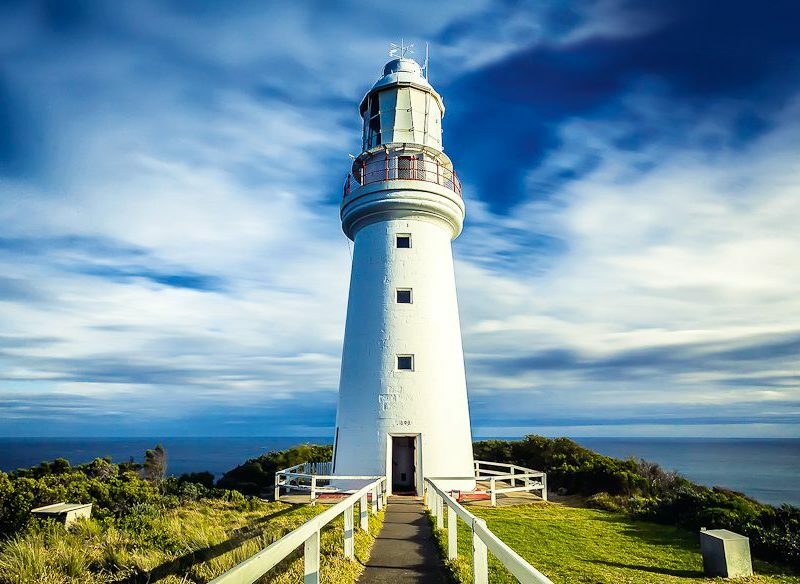 The Byron Bay Lighthouse. from $697 per night. Sugarloaf Point, Seal Rocks, NSW. Relax in one of three cottages at this secluded Seal Rocks lighthouse, which boasts beach views from the master bedrooms. From $450 per night during whale season (May–September). The Southern Ocean can be volatile, but Australia’s oldest lighthouse has guided sailors safely to shore since 1848. 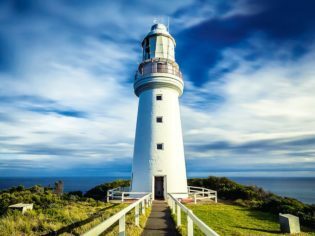 The Cape Otway Lightstation sleeps up to 16 in four renovated bedrooms and has a beautiful old-style wood stove and open fire place. From $450 per night. Cape Borda lighthouse, Kangaroo Island. Located at the south-west tip of Kangaroo Island, Cape Borda lighthouse getaway offers a more secluded option for travellers in a three-bedroom lodge, a self-contained cabin, and a quaint single-room stone cabin. From $219 per night.